We were in Bonaventure Cemetery right after it rained. I took dozens of pictures (more of which I will post later), but I think this one best expresses the mood of that morning. If you’ve never heard of Bonaventure, a haunting photograph of the statue Bird Girl graced the cover of the book Midnight in the Garden of Good and Evil. The cemetery was also featured in a movie based on the book. The Bird Girl statue now rests in the Telfair Museum of Art in Savannah. This entry was posted on August 7, 2010 by michellestodden. 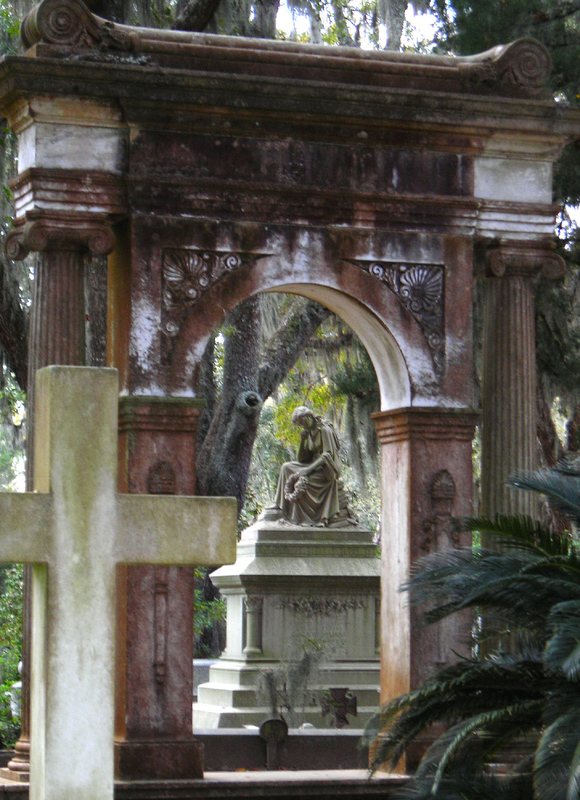 It was filed under Photography and was tagged with Bonaventure Cemetery, Photography.